The importance of credit score ratings is illustrated in the following example. Say you want to get a loan for five thousand dollars from a bank. While the financial institution welcomes the opportunity to earn money from the interest you pay on your loan, bankers also need assurance that the principle amount they lend to you is not at risk. In other words, the lender should reasonably believe that you will pay the original money back, along with interest, according to the terms of the loan. How does a banker make such a risk assessment about you? After all, you may be a total stranger or new to town. Yet, if the lender knew your past loan and payment history, he or she would get a reasonable idea if lending money to you is a good thing. It's all about determining whether giving you money is a high-risk or low-risk proposition. That past loan and payment history is what comprises your credit history on a credit report. And when a banker looks at your history, he or she can easily ascertain your ability and willingness to repay your debts. That estimation is your "creditworthiness" or rating. The rating helps determine whether loan qualification is a "go" or "no-go"decision. Your credit report provides a complete snapshot of your financial history. It includes the following information. Lines of credit, both current and historical. This includes all types of loans, credit cards, and mortgages. There are four credit reporting organizations that issue credit history reports to lenders. They are Equifax, TransUnion, Innovis and Experian. You should also review these reports periodically, and especially before requesting a loan. 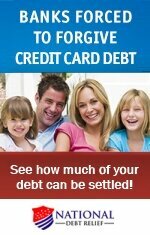 While there are companies that will charge for providing you with credit reports, you can get them free every 12 months from AnnualCreditReport.com. Be sure to review each company's report and check for any errors that need to be fixed. It is not uncommon to find errors on your report. Yet, they can stand in the way of getting approved for a loan or credit card if they are not corrected. Your FICO credit score is nothing but the "quantification" of what appears on your credit report. It takes into account your loans and payment history, types of current and past accounts, age of accounts, total outstanding debt, bankruptcies, and credit inquiries. Your credit score is a number that ranges from 300 to 850 and indicates your level of risk in paying back debt. The higher the score, the greater the chance that a financial institution will want to loan you money — or a credit card company will issue a card with high-spending limits. 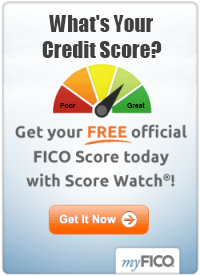 To learn about the different FICO credit score ranges, click here: Credit Score Rating Scale. Why is Improving Credit Score Ratings Important? When you improve your ratings, you improve the probability that a potential lender, like a bank or a credit card company, might consider lending money to you as a "good bet." And if they think that, you stand a better chance of getting the loan you want, for the amount you want. Just as important, you stand a better chance of getting that loan for a lower interest rate when you have a strong credit score. During your lifetime there may be many times when you need a line of credit. Consider major purchases the require loans — a home, cars, education and more. Strong credit score ratings will make these purchases easier to secure and less expensive over time. Applying for loans and credit card applications are just one aspect of how your credit history can have impact on what you need and want. Nowadays, whether its fair or not, your credit score ratings are being checked for pretty much everything under the sun. The amount of your insurance premiums can depend on it. Lease contract and housing deposits may be set according to your history. Your ability to get a cell phone contract is impacted. Even your employment prospects can be reliant on a good credit score. Good credit score ratings can make the financial path to your future life, a rosy one. Conversely, a bad credit history can keep throwing hurdles and obstacles along the way.